How Many Stars Are There? : 13.7: Cosmos And Culture The night sky carries the weight of many meanings for humanity. Astrophysicist Adam Frank directs us to a short video addressing the sum of the stars in the sky. 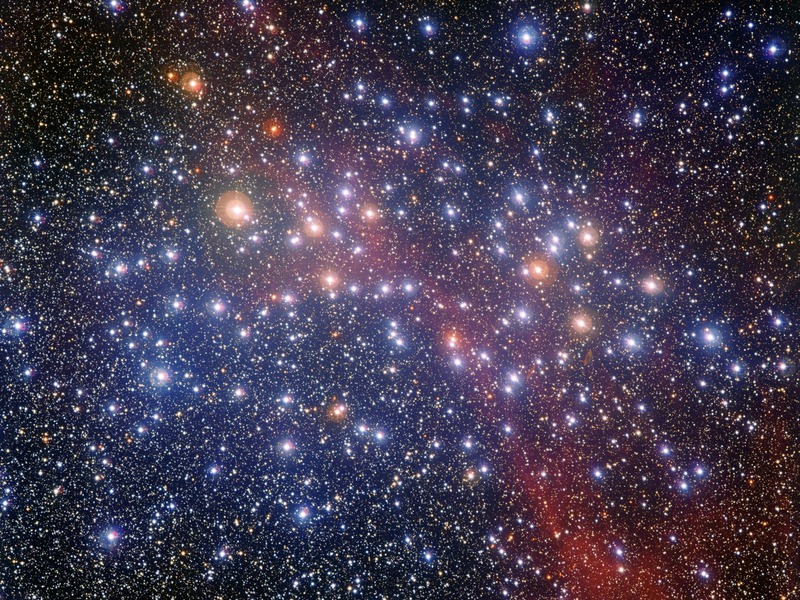 A view of the bright star cluster NGC 3532 from La Silla Observatory in Chile. The night sky carries the weight of many meanings for humanity. It's the home of the gods (or God). It's the essence of distance. It's the embodiment of infinities. We feel the great loneness of night under the dark sky, just as we feel the power of its great open wonder. More than any other experience, the night sky is the locus of our deepest (and often most unanswerable) questions. But some questions about the night sky have straightforward answers, even if what those queries return remains pretty mind-blowing. "How many stars are up there?" spills out easily for anyone standing under the night sky. "Are there more stars than grains of sand on a beach? Are there more stars than people who have ever lived?" Remarkably, fewer than 10,000 stars can be seen in the darkest of places on a dark night. That's the number of pennies in $100. Doesn't seem very cosmic does it? Well, don't let that factoid discourage you. If you take 4 minutes to watch the video below, you'll see how the number of stars appearing overhead is merely Step 1 on the road to counting up all stars in the universe. Oh, and about stars vs. grains of sand on a beach? You'll just have to watch for yourself.